UPDATE: In June 2015, Neo passed away. He got run over…we don’t really know what happened other than it was instant. 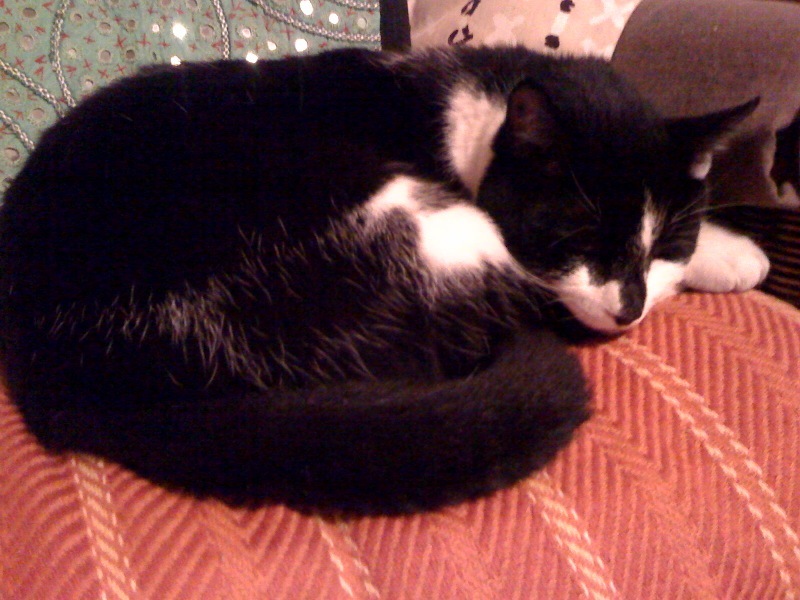 A kind soul saw him on the pavement near our house and knocked on the door to ask if we have a black and white cat. We looked everywhere in the house/garden for Neo but my mum went to see if it was him and it was. That was probably the worst day of my life. I grew up with Neo. We had him for 10 years and the fact that he was just GONE like that was horrible. Luckily he passed away during Ramadan so that made it easier to deal with the loss. 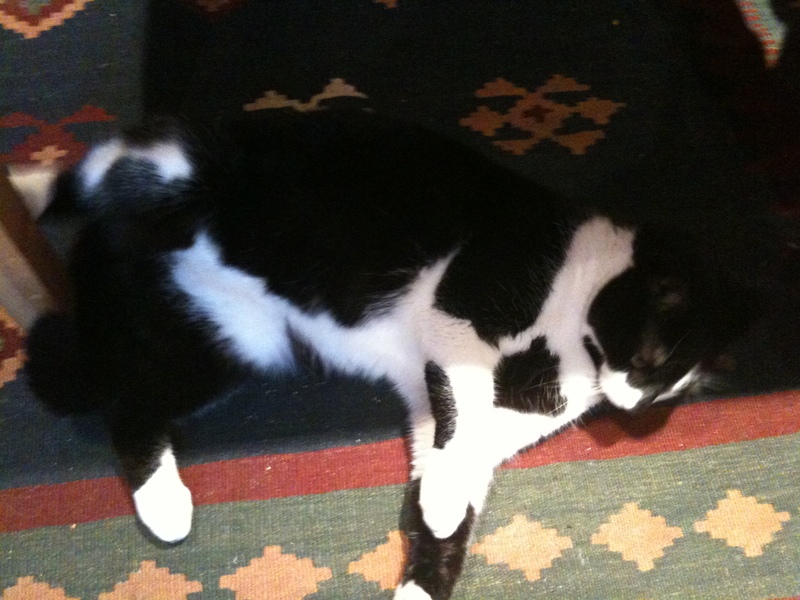 I know he is happy where he is…eating food and being a lazy lump and I will see him again one day. Neo means ‘gift’ in Swahili and is also the guy from The Matrix. Neo is my fat cat. I love my fat cat Neo. he’s 6years old that is 40 human years- middle aged. haha. Neo is black and white and from Essex. Neo is a Don…and he knows it. he is the King of the Castle. he knows this too. Now of course you are wondering what does this Neo look like? 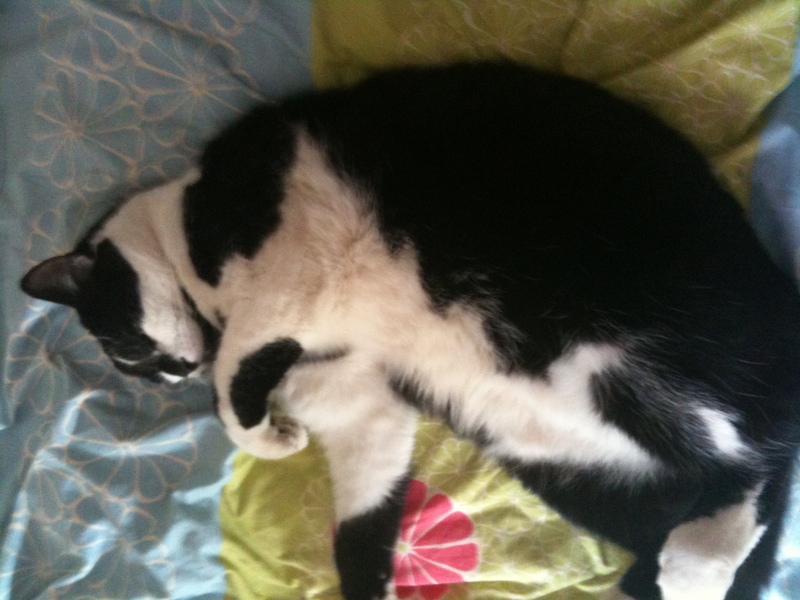 well I’d just like to explain that we did not make him obese or ‘overweight’…he eats a lot and he goes next door and steals the cat’s food despite them installing a magnetic cat flap…he has his ways. he also happens to sleep on their bed…i did say he is The King of the Castle- he knows and he makes a point that EVERYONE ELSE SHOULD KNOW IT TO. So there you have my fat cutie Neo. He likes all the attention. You’ll hear more about him because I’ll keep you (?) updated on his gallivanting etc.